I've been getting a LOT of custom requests lately! Here's a peek at some of the things keeping me busy! 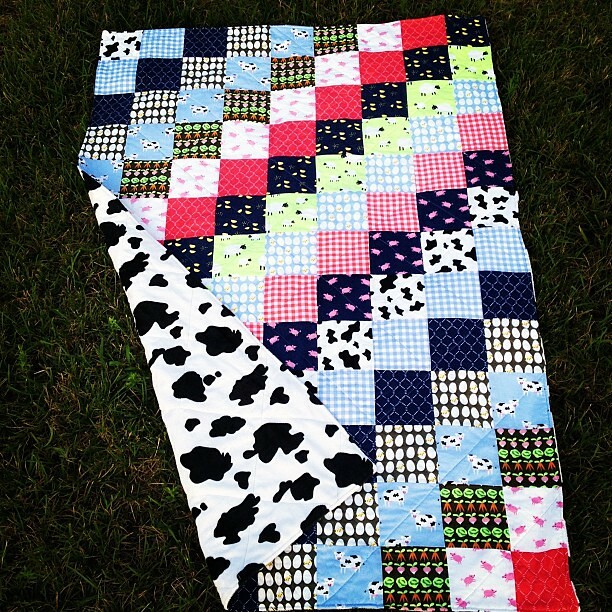 A farm-themed baby quilt with cow minky backing for another little one due soon! 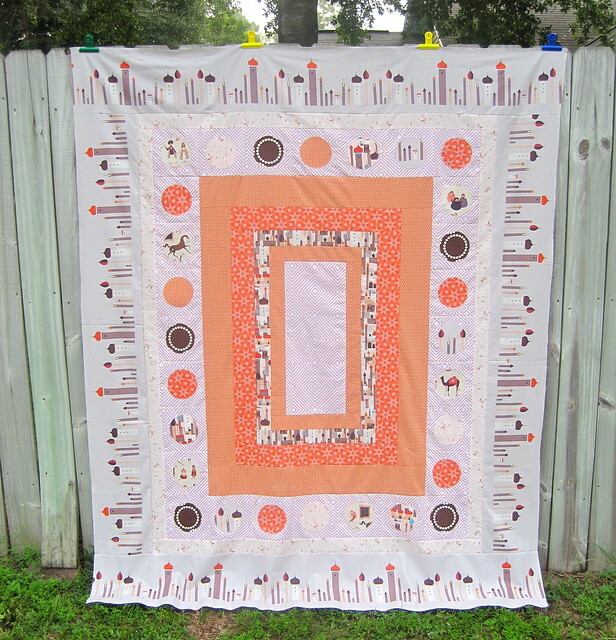 A queen size patchwork quilt with over 30 fabrics! This one was so much fun to lay out! Here's a less wrinkled view of the finished top. 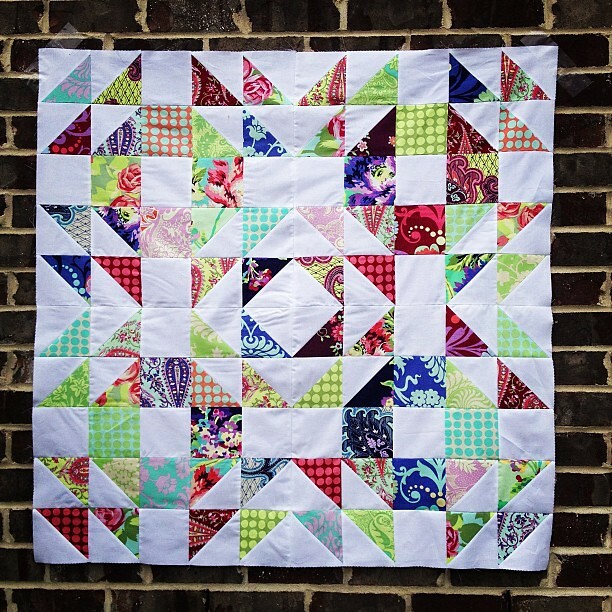 You definitely should quilt that quilt you found! 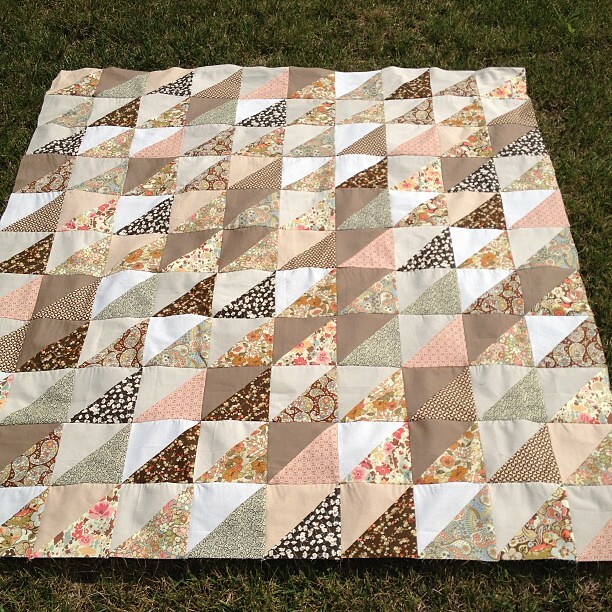 Its beautiful.. so as the other quilts! You NEED to quilt that 'lost' project. The borders are phenomenal!! Very nice and much more fun that law! Do you also quilt them? Love the first one. Makes me wanna go out and buy her old lines. The UFO you Must quilt! It's gorgeous. That's one of the first lines of fabric that caught my eye when I started quilting. Oh, and it's funny, I've seen some of these that you've posted on Instagram lately, and I've thought "those don't seem like her colors"...now I understand! Look at you! So much fun stuff happening. Ditto to all the comments on tackling that Peeps quilt. It looks neat. I really liked the image of the queen quilt with all those fabrics. Yum! Oh I LOVE that last castle peeps quilt. So pretty!